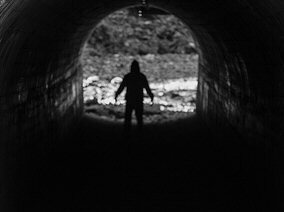 Home » Articles , Featured » Why do we get scared by darkness ? Why do we get scared by darkness ? The fear is darkness is not just among kids but adults as well. Why do we get feared by darkness, even when we know that there is nobody to harm us. However this fear gets reduced as we age, but still some of it remains. Sometimes what we see and hear in normal life affects that fear. Those kids who watch more horror movies are more prone to fear of darkness. If you ask them about it, then they will say that they have fear of ghosts. Hear betterhealthfacts.com have done good research on fear of darkness and bring something worth reading. Sometimes this fear can become a mental disease known with some medical names such as achluophobia, nyctophobia, scotophobia or lygophobia. Fear is something in our brain to save our body from any possible harm. When we can't see anything properly due to darkness, the fear of unknown appears in our brain to get us out of that darkness. But as our eyes adjust to that darkness the fear is also lowered. When we can't see any thing our brain feels that it is incapable of doing anything as one of its sensory organs (our eyes) are not providing proper image of outside. The fear in our mind also activates the fight or flight mechanism which releases adrenaline hormone in our blood which increases our heart rate, muscle strength and breathing on temporary basis. Its done by our body to either fight with any harmful object in dark or to run away from the darkness, depending on your personal choice. You might have felt it that when you are feared, your heartbeat increases and so is your breathing. Now you know the reason ! However fear of unknown is not just related to darkness but also to future. We don't know the future as well and sometimes we get feared of some unexpected events in the future. You might have heard the term "Train your Brain". Our brain learns from our sensory organs. Our eyes and ears are one of the most important of them. What we see and hear makes a deep impact on our brain. When we see a horror movie, then it might frighten us for a day or two. Its an effect of temporary learning of our brain, and it may not allow you to go in darkness for one or two days due to fear of the unnatural characters that you have seen in movie. But if you watch horror movies more often then our brain makes a permanent place for these unnatural characters in its memory. Our brain is capable of creating nightmares and hallucinations. Darkness is the perfect place for it to do so. Kids are more prone to develop fear as a personality trait due to their undeveloped brain exposed to horror movies. Adults may not develop that fear for longer duration due to their better understanding and muscular strength. If you are also fearful of darkness and feel that your day-to-day life is affected by that fear that you should consult a specialist. Fear of darkness can make you depressed and fearful of sleeping alone, which is not a good sign for an adult. Some therapies and medicines can help you in such case. Note: Never try to scare your kid of the darkness and don't let them watch horror movies till be become mature enough to understand the difference between movie and reality. Sometimes sexual abuse or punishment to stay in a dark room can implant fear in their brain for a lifetime which is very hard to treat. Don't tell them any ghost story for time pass. Try to make them stronger not scared of darkness.